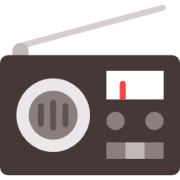 Background Music for Radio Commercials: Where to get it? How to get legal background music for your radio commercials and advertising? Can I try the songs before purchasing the license? Can I use free music? Do you want to create a radio advertisement and you don’t know where to get the music or what type of license should you buy? In this article, we will explain everything you need to know. The easiest way to purchase background music for a radio commercial is by visiting the Audiojungle webpage. 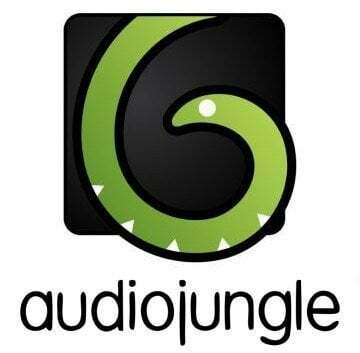 Audiojungle is the most famous marketplace on the Internet to get background music and sound effects of all kinds. It currently has more than 700,000 audio tracks in its catalog from thousands of different authors. Purchasing the license through this site we make sure that these songs are 100% royalty-free, therefore we will not have to pay every time our ad appears nor we will have to waste time contacting record companies and negotiating prices, but the payment will be made only once to acquire the song and we will be able to use it forever. The first thing we must do is, within the marketplace, perform a search by musical genre (pop, rock, classical, hip-hop …) or mood (happy, sad, elegant, corporate …) to find the song or songs that are better suited to our advertisement. Of course, Audiojungle offers the option to download all songs and sound effects with a watermark so that we can test them before acquiring the license. They offer different licenses depending on the estimated audience your commercial has. Simply make an estimate according to the area or areas in which your ad will be heard (if it’s at the local, regional or national level). Music Broadcast (1 million) License: $38 – Up to 1 million people in the audience. Music Broadcast (10 million) License: $152 – Up to 10 million people in the audience. Music Broadcast & Film License: $304 – Unlimited Audience. Licenses are paid only once when you buy the songs and that’s it, there are no monthly charges or renewals of any kind. To acquire sound effects is exactly the same, you can also look for them right away in the ‘Sound Effects‘ category of Audiojungle. SFX (Single Use) License: To be used in a single advertisement. The price varies from $1 to $5 depending on its duration. SFX (Multi-Use) License: To be used in multiple ads. The price varies from $3 to $15 depending on its duration. You can, but it will not be legal. The problem is that most licenses of this type of free music (by the name Creative Commons) give the right to use without restrictions as long as it is a personal and non-professional use. If a professional use is given, it’s essential to always attribute the artist, that is, write in the comments that he/she is the creator of the song, something that, by the very characteristics of the radio would be impossible to carry out, while on the other hand if we could doing so would be very unprofessional and would detract credibility from our advertisement. What brand advertises something and in the same ad mentions that the music that has sounded in the advertisement is of such an unknown artist? None, of course. On the other hand, thanks to Audiojungle we will have the peace of mind to know that our music licenses are -and will always be- completely valid and that we will never have copyright problems to deal with. Royalty-free music marketplaces like Audiojungle have given us, since a few years ago, a drastic fall in the cost of getting background music -both economical and of time-. Currently, we can surf their site listening to small pieces of songs until we find one that suits what we need, download it to test it in our advertisement and, if it convinces us, acquire the license in a few minutes. A process that would have cost us weeks before now we can do it in less than half an hour!